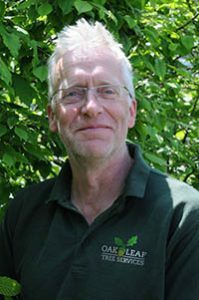 Oak Leaf Tree Services have over 20 years experience and are qualified to train and assess the skills required to do the job. All work is completed to the highest industry standards in a safe and efficient manner. If you are interested in being part of our team, please feel free to get in touch. You can click through the vacancies below and find out more or get in touch via our Contact Page. As part of your apprenticeship with OLTS you would attend Sparsholt College one day a week (term time only), to gain a Level 2 in Arboriculture and Woodland Managment. The rest of your week would be spent working with the team. To read the full job profile, click here for more info: Apprenticeship. Running the site from the ground safely, working as part of team helping the climbers. To read the full job profile, click here for more info: Foreman. To read the full job profile, click here for more info: Climber.